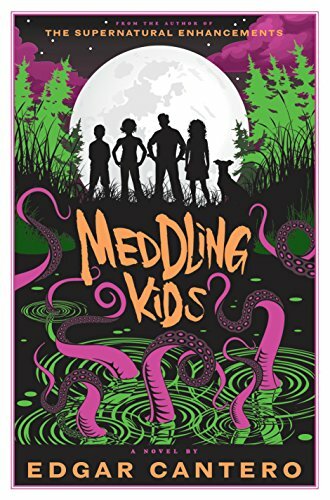 This week's Book Giveaway is Edgar Cantero's Meddling Kids, which has a great cover and an even greater hook: it's being sold as a subverted, grown-up version of works like Scooby-Do, The Hardy Boys, and Enid Blyton's "Famous Five" series. I have no idea how well that combination will actually work, but it sounds like my idea of note-perfect Halloween reading. A full review will follow shortly.